Tacoma’s new Minimum Wage Ordinance, adopted by the voters in November, will take effect February 1, 2016. Local restaurants are especially vulnerable to government regulations and city ordinances. This guide is intended to help businesses navigate this new law; however, the City of Tacoma will go through the process of adopting rules that will more precisely define the administrative and regulatory processes for business. Accordingly, this guide will be updated as those rules are developed. This guide should not be considered a substitute for legal counsel. 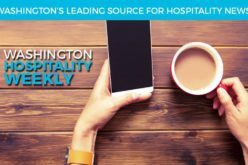 If you would like to subscribe to receive these articles as a WRA member outside of Tacoma, or would just like more information, please email SamanthaL@Warestaurant.org. Please be aware that this information may be updated/and or supplemented as rule making proceeds, so check back/watch for updates over the next few months. Also, as a reminder – the Tacoma Paid Leave Ordinance is set to take effect on February 1, 2016. We have created a Paid Leave Guide that can be viewed here. This law will be enforced by the Finance Director for the City of Tacoma. The Director is authorized to enforce this Ordinance, and may declare rules and regulations consistent with this law provided that the Director holds one or more public hearings prior to adoption of final rules and regulations. A charge alleging a violation of this Ordinance may also be filed by the Director whenever the Director has reason to believe that any person has been engaged or is engaging in a violation of this law. A charge alleging a violation of this law shall be in writing, in a format determined by the Director and signed by or on behalf of a charging party and will describe the violation complained of and will include a statement of the dates, places, and circumstances and the persons responsible for the alleged violation. A charge alleging a violation of this law may also be filed by the Director whenever the Director has reason to believe that any person has engaged or is engaging in a violation of this law. The Director will issue either a citation and notice of assessment or a determination of compliance delivered by hand or first class mail no later than 60 calendar days after receipt of the charge unless the Director extends the response date. Notice of the extended date will be provided by the Director to the parties in writing. If the Director determines that a violation has occurred and issues a citation, the assessment will include a determination of all unpaid wage amounts that are due, plus interest of 1 percent per month. If the Director finds any violation of this Ordinance, they may issue a civil penalty of $250. The Director may waive or reduce the penalty if the employer comes into compliance within ten calendar days of the notice. The Director may not investigate any alleged violation of a wage payment requirement that occurred more than three years before the date that the employee filed the wage complaint. Violations are considered to have occurred on the date the wages are due, not earned. A person who receives a Citation and Notice of Assessment may request an administrative review of the Citation by filing a written request with the Director within ten calendar days from the date of the Citation. The new minimum wage law takes effect February 1, 2016. Employees are covered by this Ordinance for each hour worked within the geographical boundaries of Tacoma, provided that an employee who performs work in Tacoma on an occasional basis is covered by this Ordinance only if the employee performs more than 80 hours of work in Tacoma within a calendar year. This applies regardless of whether their Employer is physically located in the City or not. If an employee lives in the City and performs work for an employer from home, including telecommuting, they are covered by the Ordinance for all hours performed while physically located in the City regardless if the employer is located outside the City as long as the employee performs more than 80 hours of work in the City within a calendar year. An employee who travels through the City and stops as a purpose of their work is covered by the Ordinance for all hours worked in the City, including travel time within the City. This Ordinance states that this rule only applies if the employee performs more than 80 hours of work in the City within a calendar year. How do I track hours worked in the City? An employer may make a reasonable estimate of an employee’s time spent working in the City for purposes of determining employee eligibility and rate of pay as long as the employer consistently uses one option to track for all employees and remains constant. Documentation of how the estimate was made may include (but not limited to) dispatch logs, delivery addresses and estimated travel times, or historical averages. How much do I need to pay each employee? A. Beginning February 1, 2016, and until January 1, 2017, every employer shall pay each employee that has reached the age of 16 years wages at a rate of not less than $10.35 per hour. B. Beginning January 1, 2017, and until January 1, 2018, every employer shall pay each employee who has reached the age of 16 years wages at a rate of not less than $11.15 per hour. C. Beginning January 1, 2018, and until January 1, 2019, every employer shall pay each employee who has reached the age of 16 years wages at a rate of not less than $12.00 per hour. D. Beginning January 1, 2019, and each following January 1, every employer shall pay to each employee who has reached the age of 16 years wages at a rate of not less than the applicable amount under Subsection E.
E. On September 30, 2018, and on each following September 30, the Director shall calculate an adjusted minimum wage rate to maintain employee purchasing power by increasing the current year’s minimum wage rate by the rate of inflation. The adjusted minimum wage rate shall be calculated to the nearest cent using the consumer price index for urban wage earners and clerical workers, CPI-W, or a successor index, for the 12 months prior to each September 1 as calculated by the United States Department of Labor and as used by the state of Washington at that time. Each adjusted minimum wage rate calculated under this Subsection E takes effect on the following January 1. Consistent with state law, tips, gratuities, vacation pay, holiday pay, and travel allowances are not considered when computing the minimum wage and may not be credited as part of the minimum wage. Discretionary bonus payments are in addition to hourly, salary, commission, or piece rate payments and is not considered to be part of the worker’s wages and is not required to be included in the overtime calculation. Non-discretionary bonus payments are paid consistently under an agreement between the employer and workers are considered part of the worker’s wages under state law and the Minimum Wage Ordinance. Which employees are NOT covered by the Minimum Wage Ordinance? If you spend time in Tacoma solely for the purpose of traveling through Tacoma from a point of origin outside Tacoma to a destination outside Tacoma, with no employment-related or commercial stops in Tacoma except for refueling or the employee’s personal meals or errands, are not covered by this Ordinance. An employee who is not covered by this Ordinance is still included in any determination of the size of the employer. An employee in the City solely to attend a convention, conference, training class, educational class, or similar is not covered by the Ordinance. Independent Contractors – Independent Contractors are not employees. A bona fide independent contractor is exempt from the Ordinance because that person is not “employed” by an employer. However, an employer cannot avoid compliance with the Ordinance by simply referring to someone as an independent contractor. Each independent contractor must be evaluated on a case by case basis and will be defined according to state law. If an employee performs work outside the City of Tacoma and their employer is located in the City of Tacoma, the employee is not covered by this Ordinance. Employers issued special certificates pursuant to RCW 49.46.060 (Shown Below) are exempt from the requirements of this Ordinance and only required to pay the rate specified on the state certificate for positions such as disabled workers, learners, student learners, and minors. The City Manager is directed to prepare and present a proposal in year 2018, and every two years after, to the City Council for a study to assess the impacts of the increase in the minimum wage upon 1. Small businesses 2. Minimum/low wage workers and 3. The City’s economy in the context of Pierce County and the greater Puget Sound region. The assessment is intended to be used by the City and business, labor, and community partners to determine strategies and goals to address the findings of the assessment, and for the City Council to consider adoption of identified goals as policies to strengthen small, local businesses and others, to develop policies that are part of the City’s comprehensive campaign to reduce poverty. That employees are entitled to payment of minimum wage. The current minimum wage rate and their rights under this Ordinance. That adverse action against employees who exercise any right under this Ordinance is prohibited. That each employee has the right to file a charge if payment of minimum wage, as required by this law, is denied by the employer or the employer takes an adverse action against an employee for exercising rights granted under this Ordinance. The Director will create and make available to employers model notice, referred to as the “Notice” which contains the information required above. The Notice shall be printed in English and Spanish and any other languages that the Director determines are needed to notify employees of their rights under this law. Employers may comply with this section by posting the Notice in a conspicuous and accessible place in each establishment where employees are employed. Employers may also comply with this section by including the Notice in employee handbooks or other written guidance to employees concerning employee benefits or leave rights, or by distributing a copy of the Notice to each new employee upon hiring. Distribution may be accomplished electronically. It is a violation for an employer or any other person to interfere with, restrain, or deny the exercise of, or the attempt to exercise, any right protected under this Ordinance. It shall be a violation for an employer to take adverse action against an employee because the employee has exercised in good faith the rights protected under this Ordinance. Employers need to certify compliance with this Ordinance upon application for and renewal of their City of Tacoma business license. Employers need to allow the Director access to these records, with at least five business days’ notice and at a mutually agreeable time, to investigate potential violations and to audit compliance with the requirements of this law. Records and documents relating to medical certifications, recertifications, or medical histories of employees or employees’ family members created for purposes of this law are required to be maintained as confidential medical records in separate files and/or records from the usual personnel files. If the Americans with Disabilities Act applies, then these records must comply with ADA confidentiality requirements.